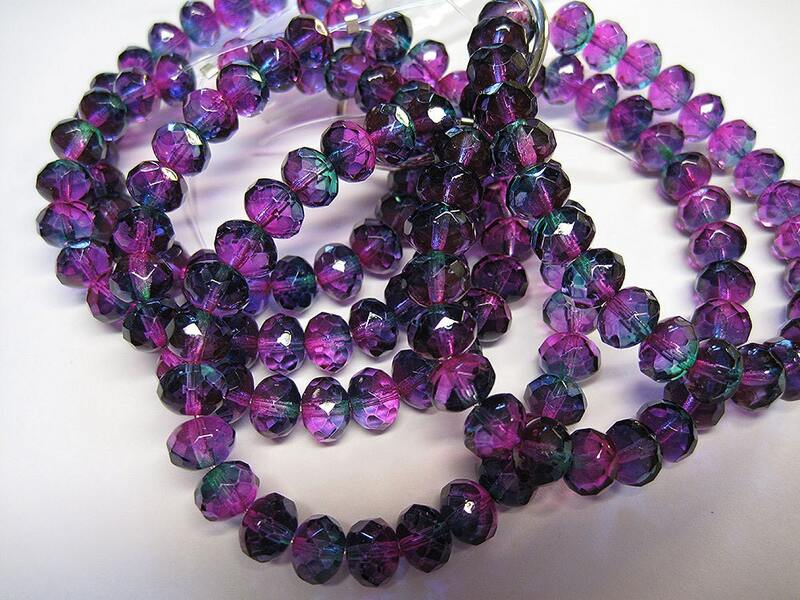 Rainbow Purple mix Czech pressed glass large faceted rondelle beads. Shades of purple, blue and green. These are 6 x 8 mm. There’re SO pretty. This is a return purchase to the shop and I love it, I’m super glad to have found it and will be back again!